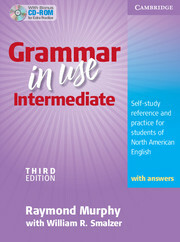 Ideal for students preparing for the TOEFL ® test or other standard examinations, the new edition of this popular North American English grammar title offers even more support, with a larger format to include more explanation and practice, eight new units on phrasal verbs, and 10 pages of Additional Exercises. This edition, with answers, can be used in the classroom or for self-study. 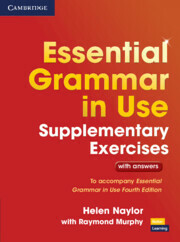 It includes a CD-ROM featuring additional practice exercises, progress reports, interactive games, and a link to the Cambridge Dictionaries Online. You can even create your own tests to review the language learned.